• 1991. Open Spaces, Jim Dale Vickery. 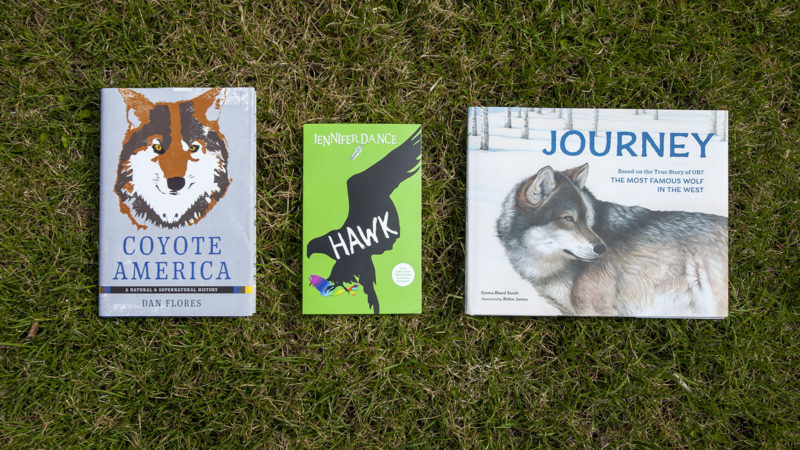 Sigurd F. Olson Nature Writing Award (SONWA) gave its inaugural award to Minnesota author Jim Dale Vickery for Open Spaces , a book that takes the reader to the unpopulated spaces in North America. 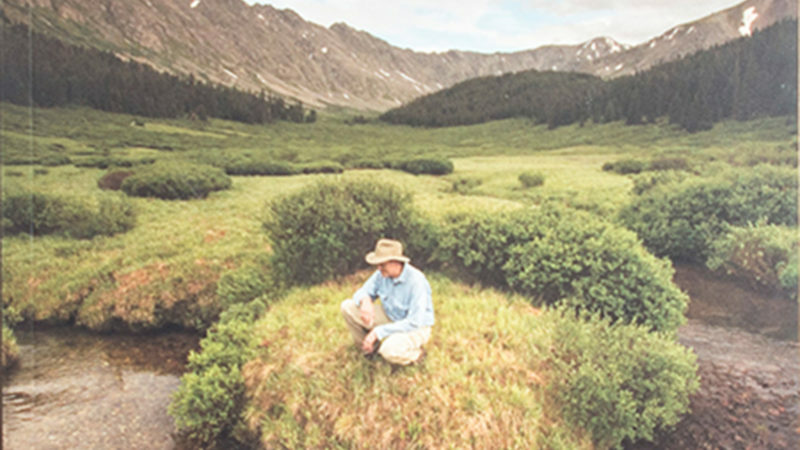 Vickery, who died in June 2014, continued to write about nature. Open Spaces appears to be out of print but used copies are readily available. • 1993. Brother Wolf, Jim Brandenberg. An exploration of the behavior of wolves in northern Minnesota and includes intense provocative nature photography. Brandenberg worked for several years for National Geographic as a photographer, writer, and film producer. • 1995. The Northern Forest, David Dobbs and Richard Ober. Focused on the lives of Northern Forest residents—a mill worker, a forester, several loggers, a fishing guide, and a Christmas tree-farming family. Dobbs writes essays and features for The New York Times among others. He is currently the executive director of the Monadnock Conservancy, a conservation land trust for southwestern New Hampshire. • 1996. The Tree Farm, Robert Treuer. The author’s quest for something to belong to, an informative study of ecology and conservation, and a tender, amusing view of the natural world. 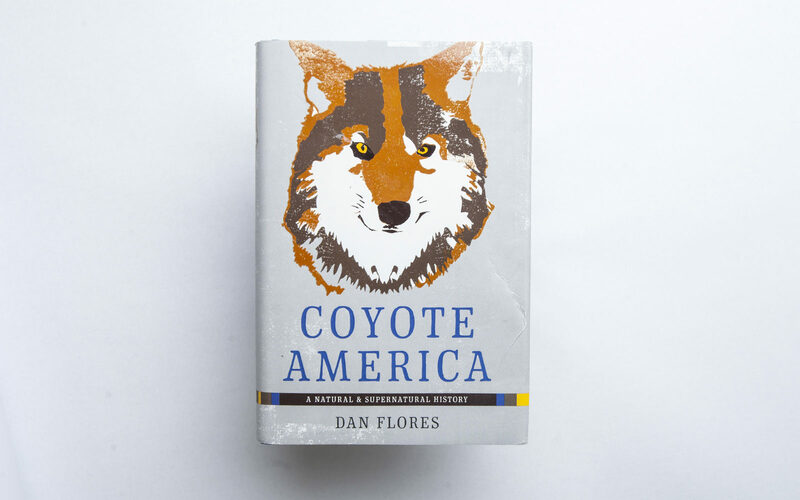 This author has a colorful history not only in writing, as he was born in Austria in 1926 and escaped the Holocaust in 1938 and eventually landed in the United States and while living in Minnesota became a teacher and tribal leader. Along with publishing books, Treuer has written for many outlets, including the Minneapolis Star Tribune. • 1997. Heart and Blood, Richard Nelson. Beginning with the author tracking a deer on a remote island off the Alaskan coast, Nelson examines the physiology of the deer, explaining how its unique digestive system and grazing habits have enabled it to thrive in the varied environments of the United States, whether wild, suburban, or urban. Richard Nelson is a Wisconsin native and a cultural anthropologist and creative nonfiction writer whose work focuses on human relationships to the natural world. • 1998. Northern Passages, Michael Van Stappen. Captures the spirit of northwestern Wisconsin and the western Upper Peninsula of Michigan-Lake Superior country. • 1999. Holdfast, Kathleen Dean Moore. A collection of essays in which Moore seeks to understand what holds her firmly to family and place. In twenty exhilarating essays, Moore explores subjects such as the sense of brotherhood fostered by communal wolf howls; the inevitability of losing our children to their own lives; and many more. Moore is the distinguished professor of philosophy at Oregon State University in Corvallis, where she teaches environmental ethics, philosophy of nature, and a variety of courses for OSU’s new MA in Environmental Leadership. • 2000. Hope is the Thing with Feathers, Christopher Cokinos. Cokinos weaves natural history and personal experience into the dramatic story of the last days of six North American bird species. Christopher Cokinos is a nature and science writer with strong interests in a variety of topics, including climate change, extinction, traditional natural history, space sciences, the search for extraterrestrial intelligence and improving science communications. • 2001. Tinkering with Eden, Kim Todd. Todd tells the stories of non-native species and how they arrived in the United States. Species covered range from pigeons, brought over by some of the earliest colonists, to starlings, imported by a man who wanted to bring all the birds mentioned in Shakespeare to Central Park. Her articles and essays have appeared in Orion, Sierra Magazine, California Wild and Grist, among other places. Todd has taught environmental and nature writing at the University of Montana, the University of California at Santa Cruz extension, and the Environmental Writers Institute. • 2002. 2030: Thermageddon in our Lifetime, Robert Hunter. Hunter denounces the oil lobby, skewers Canada for its awful environmental record, and offers climate change solutions for everyone from suburbanites to the United Nations. Author and Greenpeace co-founder Robert Hunter is at his angry best in 2030 when drawing out the scientifically proven causes of climate change and the disastrous consequences we may already be facing. • 2003. Children’s Award added! Isabel’s House of Butterflies, Tony Johnston (author), Susan Guevara (illustrator). 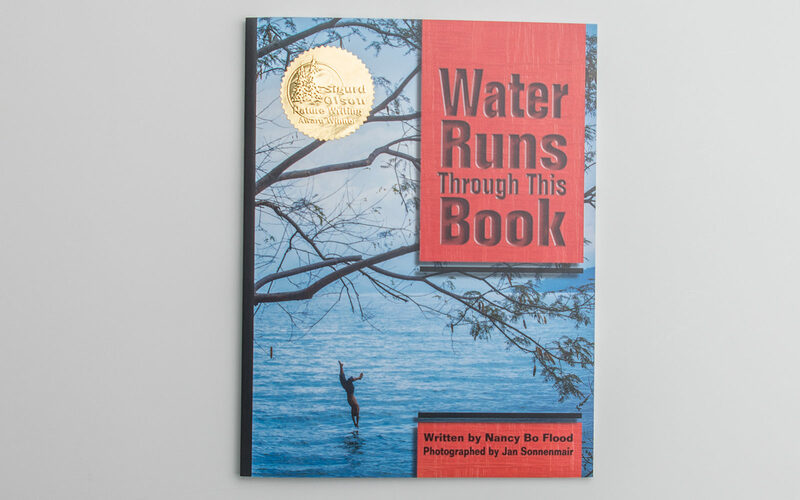 The 2003 SONWA broadened the focus of the writing award by developing a complementary Sigurd F. Olson Nature Writing Award for Children’s Literature. The first winner was awarded to the book Isabel’s House of Butterflies, a book about an eight year old Mexican girl’s greatest treasure: an oyamel tree. • 2003. The Living Great Lakes, Jerry Dennis. A comprehensive book on the history, nature, and science of these remarkable lakes at the heart of North America. Jerry Dennis grew up in rural northern Michigan and has earned his living since 1986 writing about the places where nature and human culture meet. His essays and short fiction have appeared in more than 100 publications, including The New York Times, Smithsonian, Audubon, Orion, American Way, Gray’s Sporting Journal, and Michigan Quarterly Review. • 2004. A Place Between the Tides, Harry Thurston. The story of Thurston’s return to the beloved environment of his boyhood when he moves to the Old Marsh, a 1.5-hectare marsh on the banks of the Tidnish River in Nova Scotia. Harry Thurston is the author of several collections of poetry and twelve nonfiction books, including Tidal Life: A Natural History of the Bay of Fundy, winner of three non-fiction prizes in the Atlantic region, and The Nature of Shorebirds: Nomads of the Wetlands. • 2004 Children. The Boy Who Drew Birds, author Jacqueline Davies and illustrator Melissa Sweet. A book that takes place in early rural America from the fall of 1803 to the spring of 1805. America at that time was a vast, awkward, struggling, magnificent country, still recovering from the Revolutionary War. Upon his arrival from France, John James Audubon discovered a world of wildlife, unspoiled scenery, and unexplored lands. • 2005. Where Mountains Are Nameless: Passion and Politics in the Arctic National Wildlife Refuge, Jonathan Waterman. Waterman braves polar bears and frigid waters in a journey through the heart of the Alaskan wilds—and into the heated political debate surrounding the Arctic Wildlife Refuge. Waterman’s unforgettable trek was aired on PBS as part of National Geographic’s Wild Chronicles series. • 2005 Children. Leave Only Ripples: A Canoe Country Sketchbook, Consie Powell. 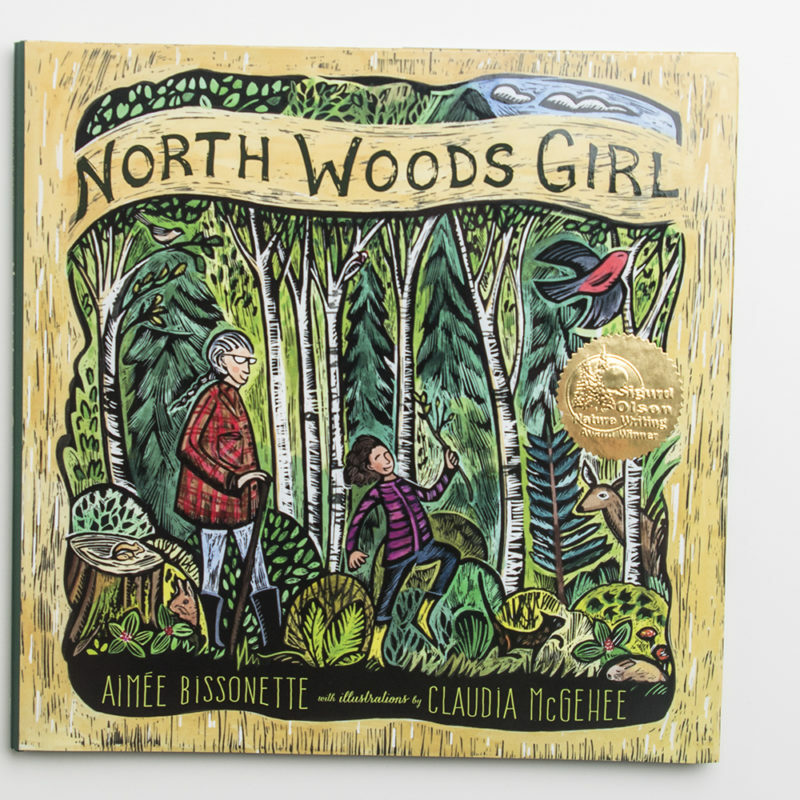 The story of a family canoe trip into the Border Country lakes of northern Minnesota and western Ontario and is vividly depicted with woodblocks, sketches, and prose. • 2006. Being Caribou: Five Months on Foot with an Arctic Herd, Karsten Heuer. Heuer follows the members of the Porcupine caribou herd who have made the 2,800-mile journey from their winter feeding grounds to their summer calving grounds. For five months, Heuer and his wife traveled an uncharted course on foot over mountains, through snow, and across frozen rivers, with only three semi-scheduled food drops for support. • 2006 Children. The Birdman, author Veronika Martenova Charles and illustrators Annouchka Gravel Galouchko and Stephan Daigle. The story of Noor Nobi. a broken man, wandering the streets of Calcutta with no reason to live. His three children, snatched from him in a cruel accident, were everything he worked for and loved. • 2007. The Animal Dialogues, Craig Childs. Childs’ chilling experiences among the grizzlies of the Arctic, sharks off the coast of British Columbia and in the turquoise waters of Central America, jaguars in the bush of northern Mexico, mountain lions, elk, Bighorn Sheep, and others. Craig Childs writes about the relationship between humans, animals, landscape, and time. His stories come from visceral, personal experience, whether in the company of illicit artifact dealers or in deep wilderness. • 2007 Children. One Well: The Story of Water on Earth, author Rochelle Strauss and illustrator Rosemary Wood. 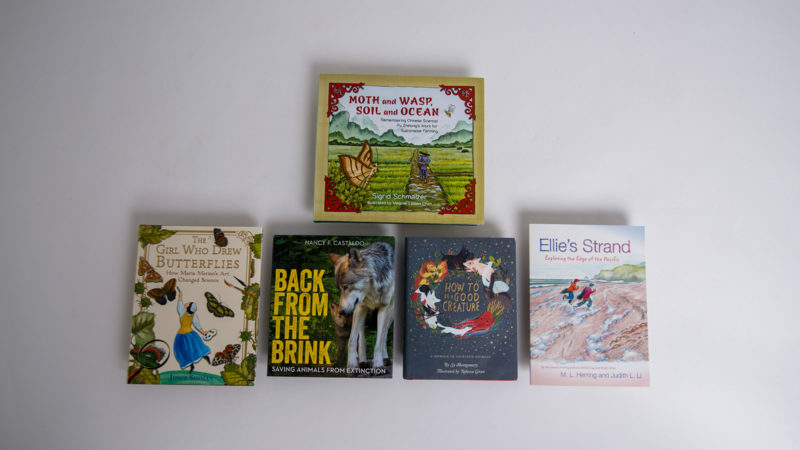 One Well is part of CitizenKid: A collection of books that inform children about the world and inspire them to be better global citizens. • 2008. American Buffalo, Steven Rinella. In 2005, Steven Rinella won a lottery permit to hunt for a wild buffalo, or American bison, in the Alaskan wilderness. Despite the odds—there’s only a two percent chance of drawing the permit, and fewer than twenty percent of those hunters are successful—Rinella managed to kill a buffalo on a snow-covered mountainside and then raft the meat back to civilization while being trailed by grizzly bears and suffering from hypothermia. • 2008 Children. The Blind Faith Hotel, Pamela Todd. 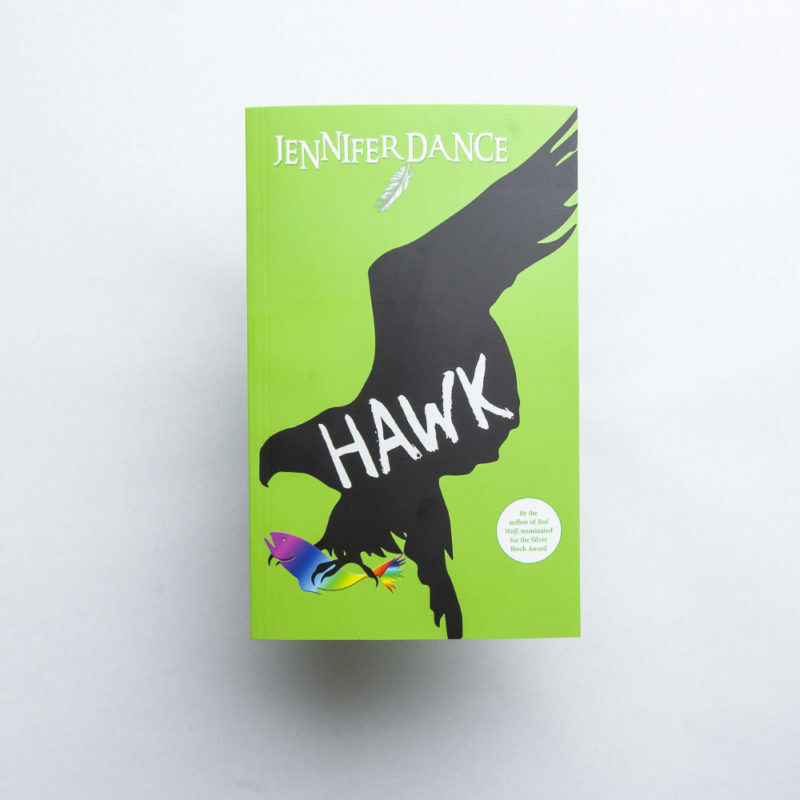 A book that paints an indelible portrait of a girl looking for her own true self and a place she can call home. • 2009. Crow Planet: Essential Wisdom from the Urban Wilderness, Lyanda Lynn Haupt. 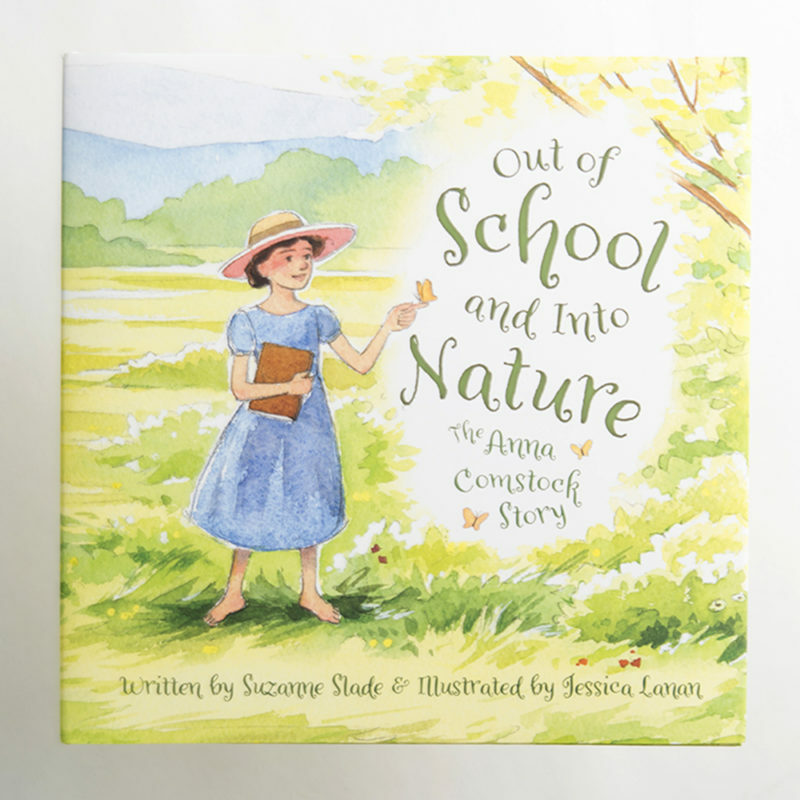 A book that is a call to experience the wildlife in our midst, reminding us that we don’t have to head to faraway places to encounter “nature.” Even in the cities and suburbs where we live we are surrounded by wildlife such as crows. Lyanda Lynn Haupt is a naturalist, eco-philosopher, and speaker whose writing is at the forefront of the movement to connect people with nature in their everyday lives. • 2009 Children. Cycle of Rice, Cycle of Life: A Story of Sustainable Farming, Jan Reynolds. A book about how on the island of Bali in Southeast Asia, rice farming is a way of life. The people live in tune with the natural rhythms and cycles of the water and the soil. • 2010. The Tiger: A True Story of Vengeance and Survival, John Vaillant. Vaillant gives us an unforgettable and masterful work of narrative nonfiction that combines a riveting portrait of a stark and mysterious region of the world and its people, with the natural history of nature’s most deadly predator. John Vaillant is a non-fiction author and journalist who was born in Cambridge, Massachusetts and has lived in Vancouver for the past thirteen years. • 2010 Children. Seeds of Change, author Jen Cullerton Johnson and illustrator Sonia Lynn Sadler. About a young Kenyan girl who excelled at science and went on to study in the United States. After returning home, Wangari blazed a trail across Kenya, using her knowledge and compassion to promote the rights of her countrywomen and to help save the land, one tree at a time. • 2011. Fire Season: Field Notes from a Wilderness Outlook, Philip Connors. A book that both evokes and honors the great hermit celebrants of nature, from Dillard to Kerouac to Thoreau. Phillip Connors is a major new voice in American nonfiction, and his remarkable debut, Fire Season, is destined to become a modern classic. An absorbing chronicle of the days and nights of one of the last fire lookouts in the American West, Fire Season is a marvel of a book. • 2011 Children. Planting the Wild Garden, author Kathryn O. Galbraith and illustrator Wendy Anderson Halperi. 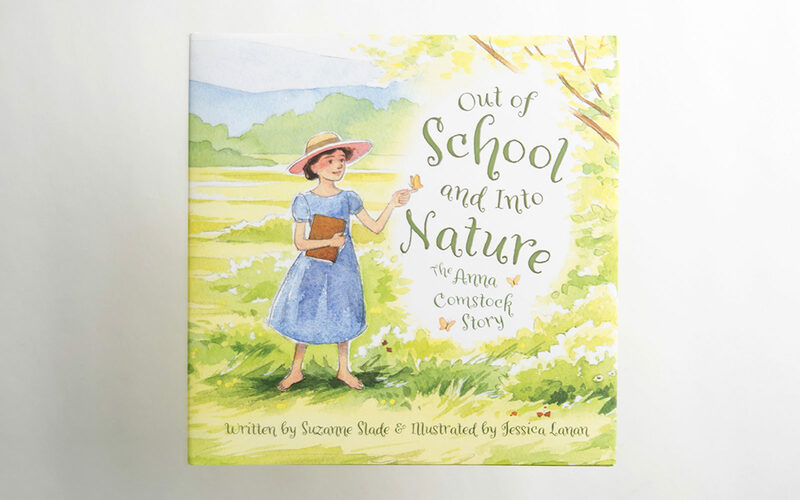 A lyrical picture book, that explains the many ways in which seeds are spread and planted. • 2012. Apocalyptic Planet, Field Guide to the Future of the Earth, Craig Childs. Childs delivers a sensual feast in his descriptions of the natural world, and undeniable science that reveals both the earth’s strengths and frailties. Bearing witness to the planet’s sweeping and perilous changes, he shows how we can alter the future, and how the world will live on, though humans may not survive to see it. Craig Childs writes about the relationship between humans, animals, landscape, and time. His stories come from visceral, personal experience, whether in the company of illicit artifact dealers or in deep wilderness. • 2012 Children. Endangered, Elliot Schrefer. Schrefer plunges us into a heart-stopping exploration of the things we do to survive, the sacrifices we make to help others, and the tangled geography that ties us all, human and animal, together. • 2013. Braiding Sweetgrass: Indigenous Wisdom, Scientific Knowledge and the Teaching of Plants, Robin Wallmmerer. A book that gracefully blends two subjects that have often been framed as incompatible: science and indigenous knowledge. As a professor of botany, a woman of the Potawatomi nation, and a mother, Kimmerer lends a unique perspective to the nature writing genre, offering an accessible message to people of various backgrounds. Kimmerer is a mother, scientist, decorated professor, and an enrolled member of the Citizen Potawatomi Nation. 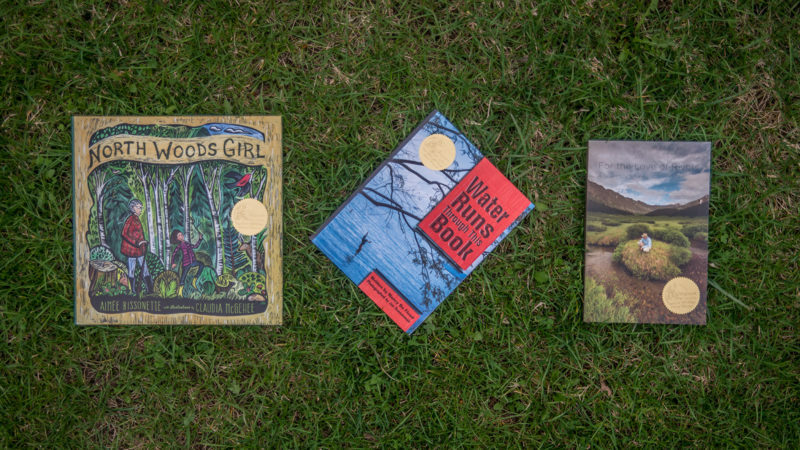 Her first book, Gathering Moss, was awarded the John Burroughs Medal for outstanding nature writing. • 2013 Children. A Place for Turtles, author Melissa Stewart and illustrator Higgins Bond. A book that shares with young readers basic facts about turtles, including where they live, what they eat, and how they benefit plants and other animals. With sidebars throughout the book and a Turtle Tidbits; trivia page at the end, children will also learn what they can do to protect species in their own communities while full-color, realistic illustrations bring turtles and ecosystems to life in glorious, vivid detail. • 2014. The Carry Home: Lessons from the American Wilderness, Gary Ferguson. Ferguson’s journey to fulfill his wife’s dying wish to scatter her ashes in the five remote locations they loved and shared together, The Carry Home embodies Olson’s literary legacy through its articulation of the Wilderness Movement, exploring the fundamental meaning of wilderness and by being a “well-written story stylistically,” said Alan Brew, associate professor of English at Northland College, who served on the selection committee. • 2014 Children. A Boy and a Jaguar, Alan Rabinowitz. Rabinowitz recounts his experience of growing up with a severe stutter and feeling connected to caged animals in the Bronx Zoo, who like him do not have a voice in A Boy and a Jaguar. 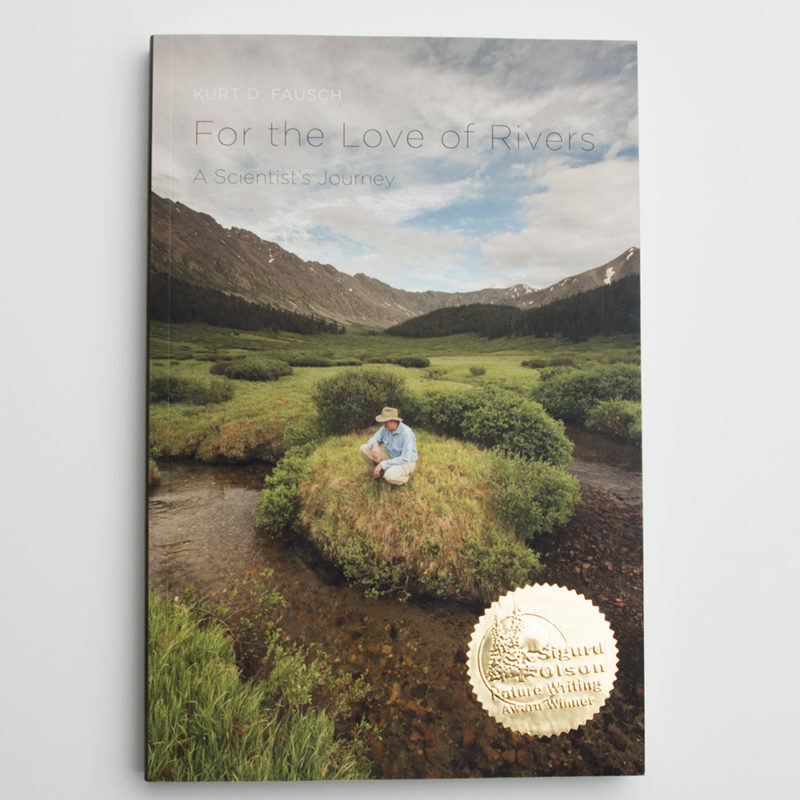 “Rabinowitz’s work carries Olson’s legacy through giving a voice to the wildness within and outside of each of us,” said SONWA selection committee member Eileen Van Pernis. 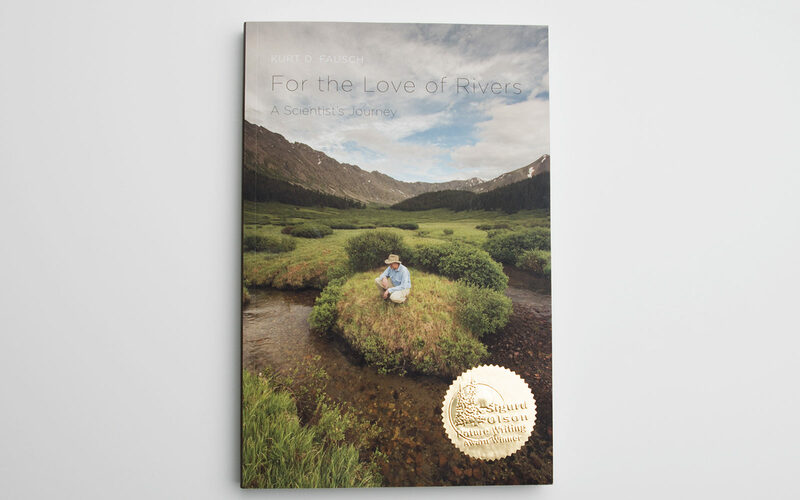 • 2015 For the Love of Rivers: A Scientist’s Journey, Kurt D. Fausch for For the Love of Rivers: A Scientist’s Journey. Fausch is an ecologist who spent a career studying how fish make a living in streams and how streams are linked to their riparian forests. 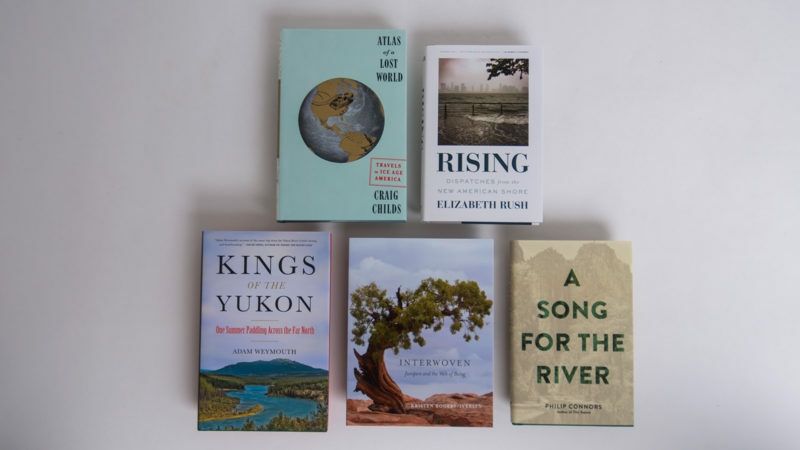 In this book, Fausch crosses boundaries of countries, cultures, and disciplines to ask why healthy rivers are essential for humans, and what would lead us to ensure that they join us in our future. • 2015 Young Adult. 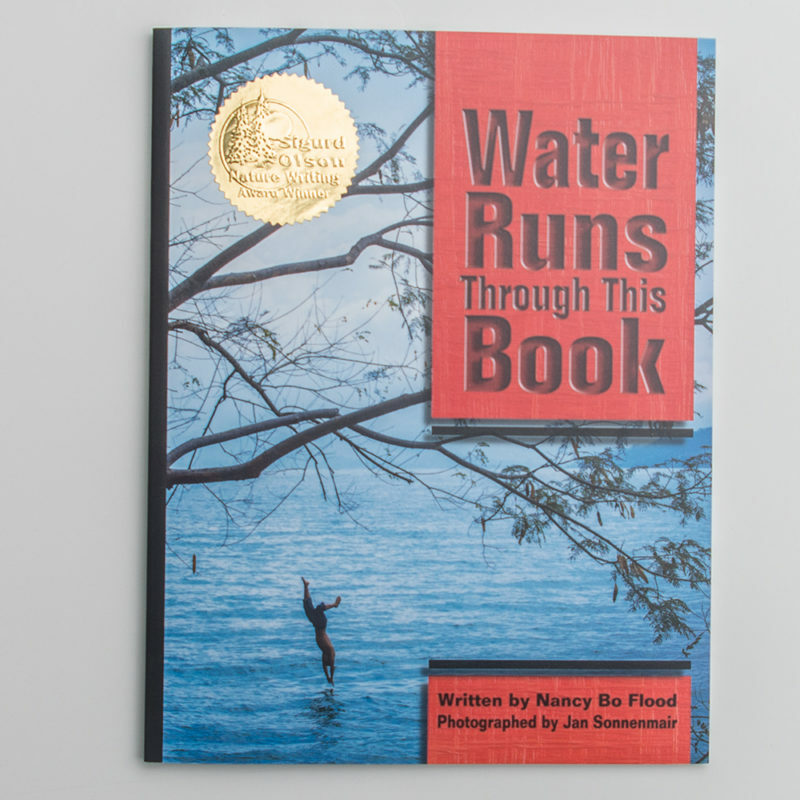 Water Runs Through This Book, Nancy Bo Flood. Photography by Jan Sonnenmair. • 2015 Children. 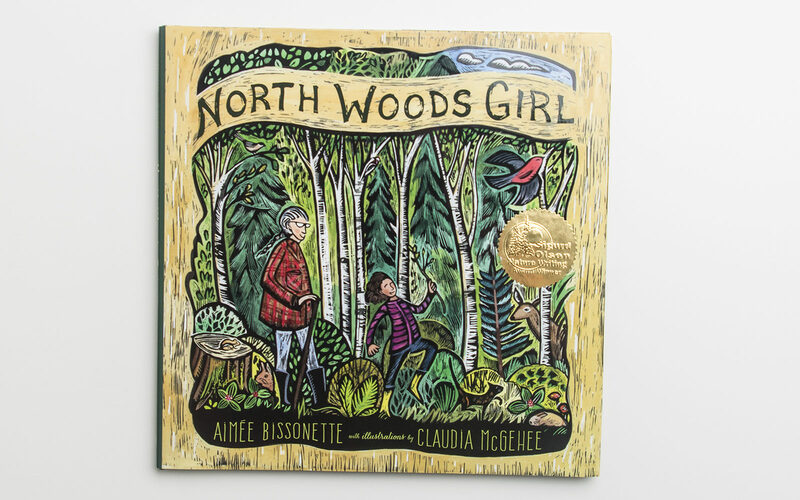 North Woods Girl, author Aimee Bissonette and Illustrator Claudia McGehee. • 2016. 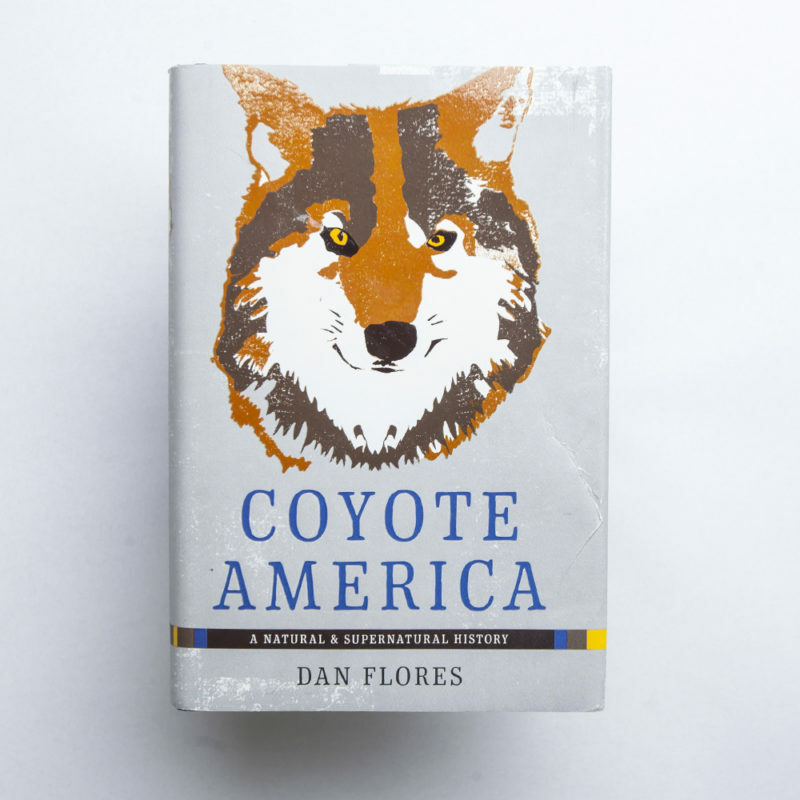 Coyote America: A Natural and Supernatural History, Dan Flores. • 2016 Young Adult. 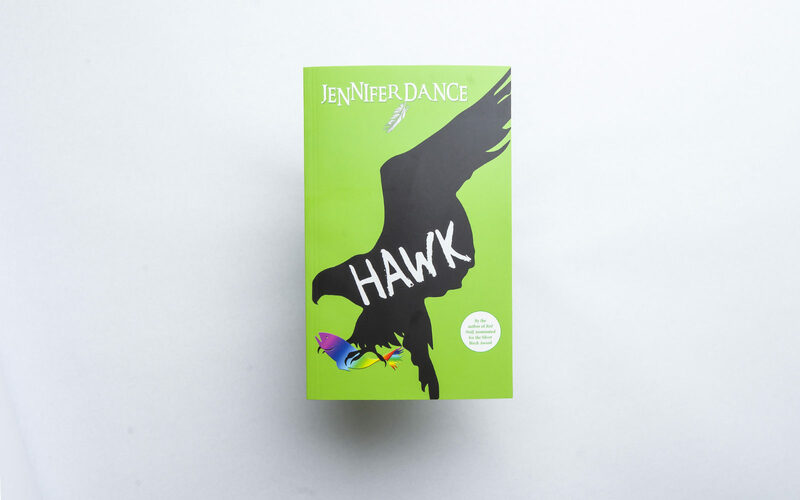 Hawk, Jennifer Dance. • 2016 Children. 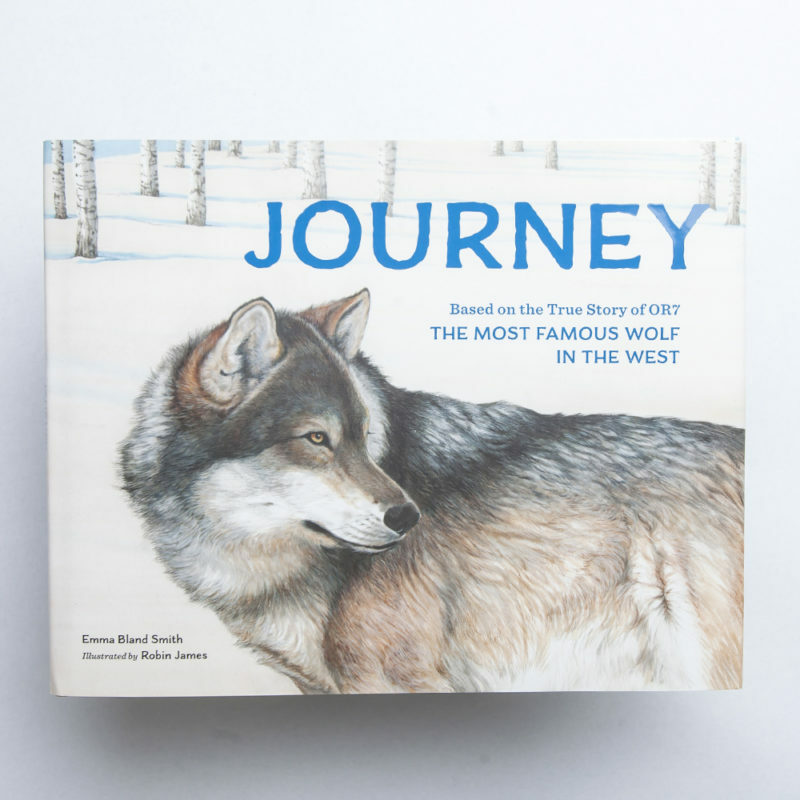 Journey: The Most Famous Wolf in the West, Emma Bland Smith with illustrations by Robin James. 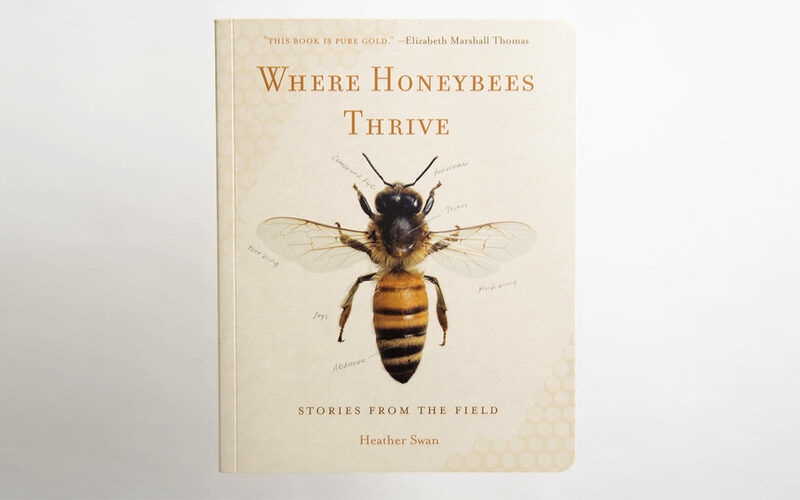 • 2017 Where Honeybees Thrive: Stories from the Field, Heather Swan. 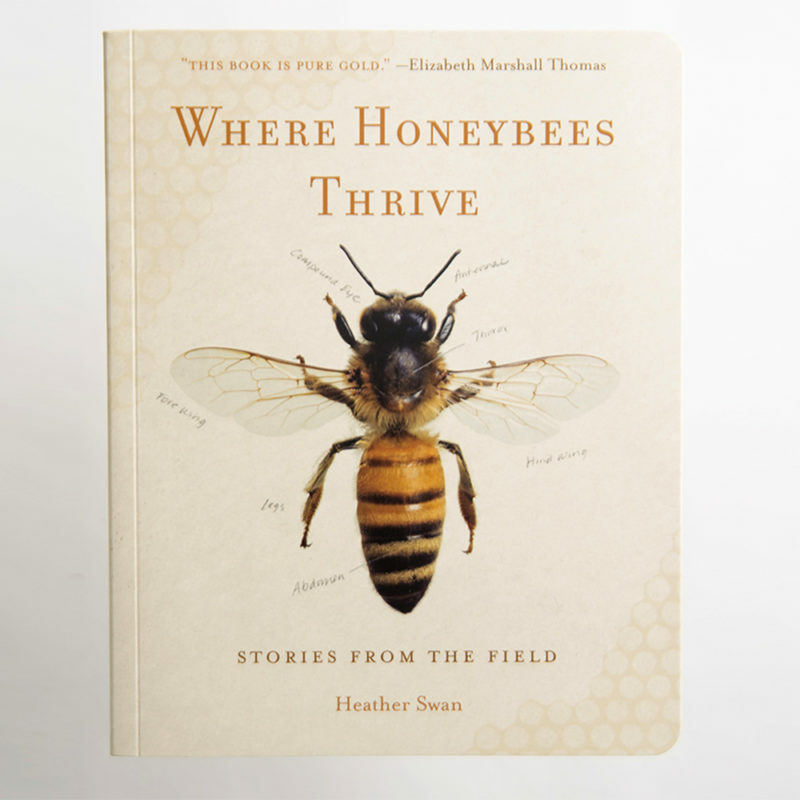 “Swan takes an innovative look at the wonders of honeybees and humanity’s complex relationship with them—weaving together stories from scientists, brewers, gardeners, manufacturers, and beekeepers,” said Northland College student Erin Bergen, who serves on the SONWA selection committee. • 2018. 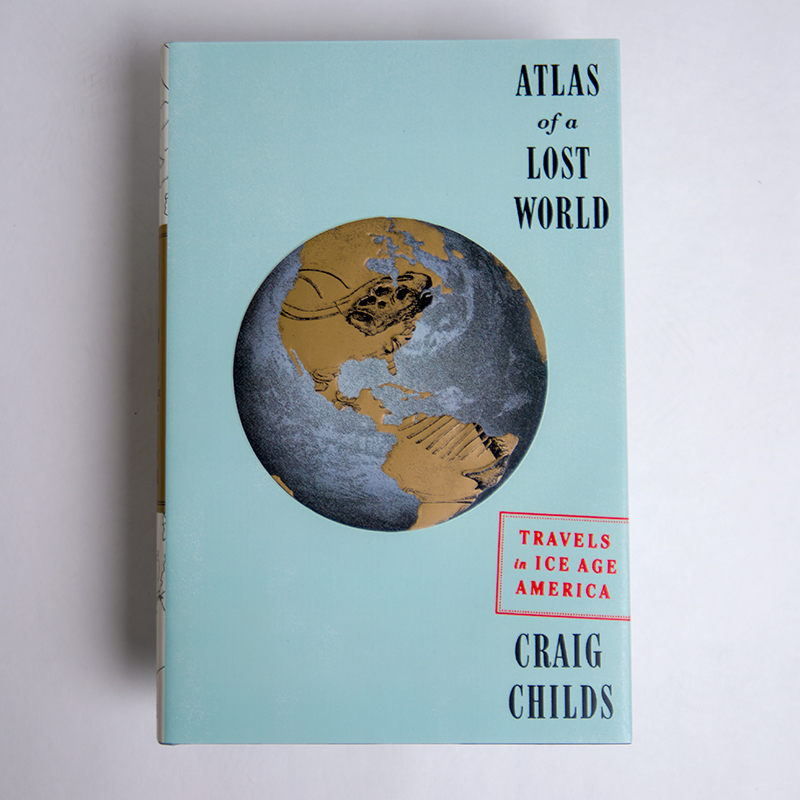 Atlas of a Lost World: Travels in Ice Age America. The 2018 SONWA awarded to Craig Childs (Pantheon Books). Childschronicles the last millennia of the Ice Age, the violent oscillations and retreat of glaciers, the clues and traces that document the first encounters of early humans. 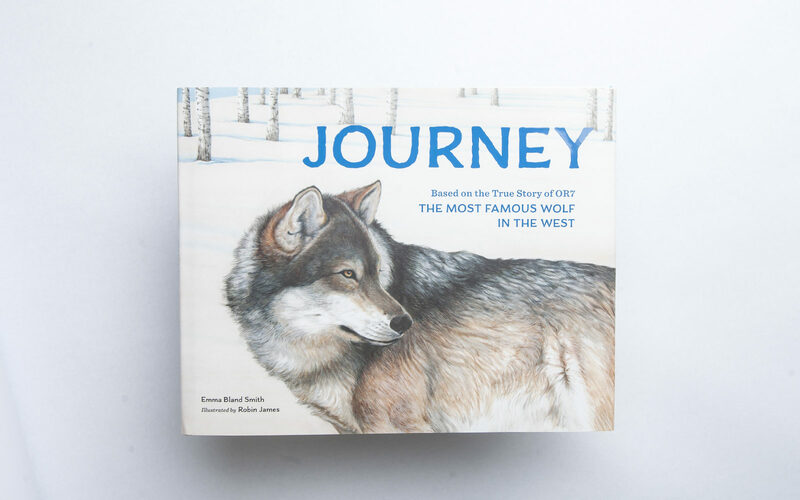 “Like Barry Lopez, Craig Childs has proven to be one of those rare authors who weaves scientific and personal explorations of the natural world into narratives that are consistently artful and compelling,” said Alan Brew, executive director of the Sigurd Olson Environmental Institute and an English professor who has served on the SONWA selection committee for twenty years. • 2018 Children. 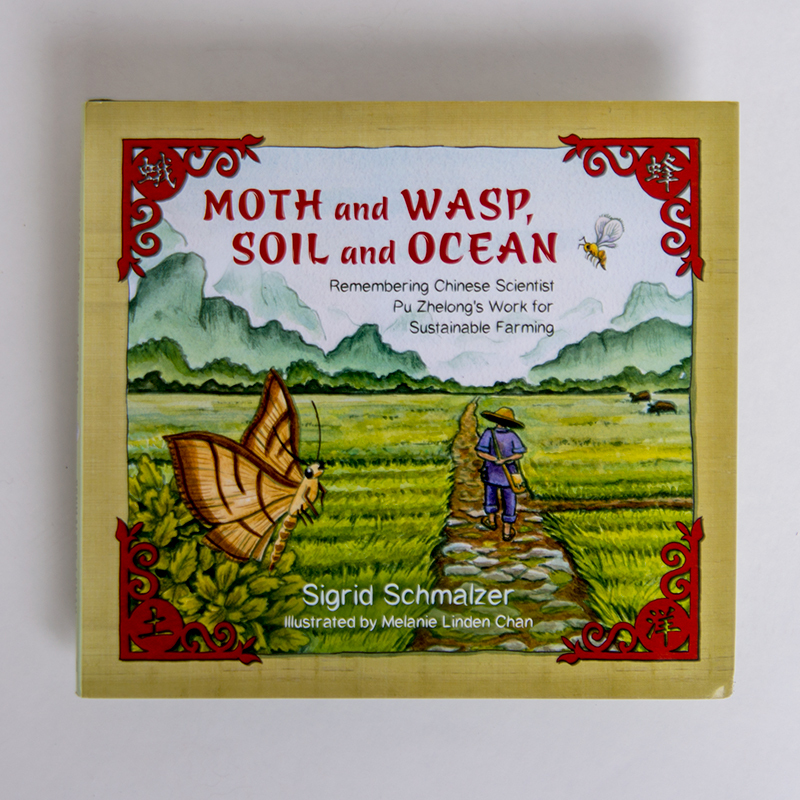 Moth and Wasp, Soil and Ocean: Remembering Chinese Scientist Pu Zhlong’s Work for Sustainable Farming, author Sigrid Schmalzer and illustrator Melanie Linden Chan. Moth and Wasp is the story of scientist Pu Zhelong who in the 1960s taught farmers in Communist China how to forgo pesticides and instead use parasitic wasps to control the moths that were decimating the crops. 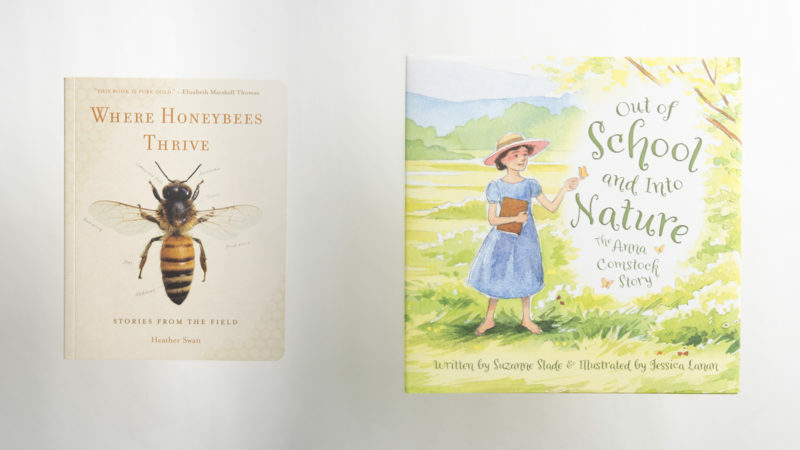 “Firmly rooted in Chinese culture, Schmalzer’s story engages children and adults alike in universally shared concerns for ecological balance—shengtai pingpheng—in matters of food policy and security,” said Jan Penn, a member of the SONWA selection committee.